Established in 1959, Polibol is a leader in the flexible packaging sector. 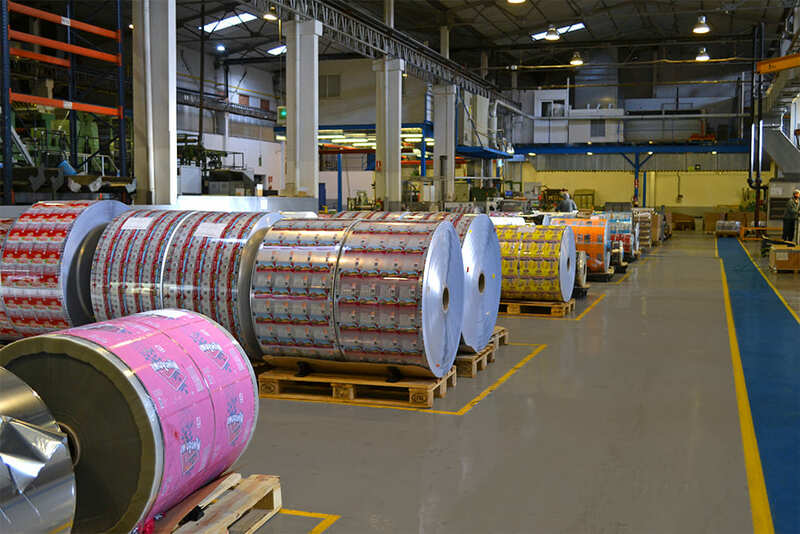 With 150 employees and revenues of over 40 million Euros, Polibol has a worldwide reputation for technological innovation as a flexible packaging printer and convertor. 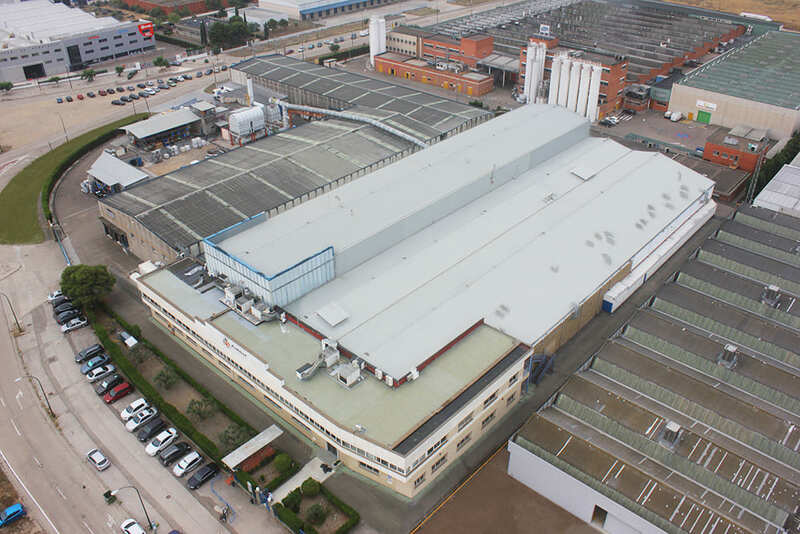 The Polibol group operates two plants, one in Zaragoza and one in Madrid, in facilities of 18.000 m2. The company’s chief activity is the manufacture of printed coils and aluminum laminated plastics for use as flexible packaging for food and consumer products (personal care, detergents). The Zaragoza plant specializes in technical packaging, with 50 percent exported to the Americas, Europe, and North Africa. Polibol takes great pride in their customer portfolio, which includes the leading players of each of the markets they serve. The company sells and exports its products all over the world, and keeps production compliant with international regulatory authorities. 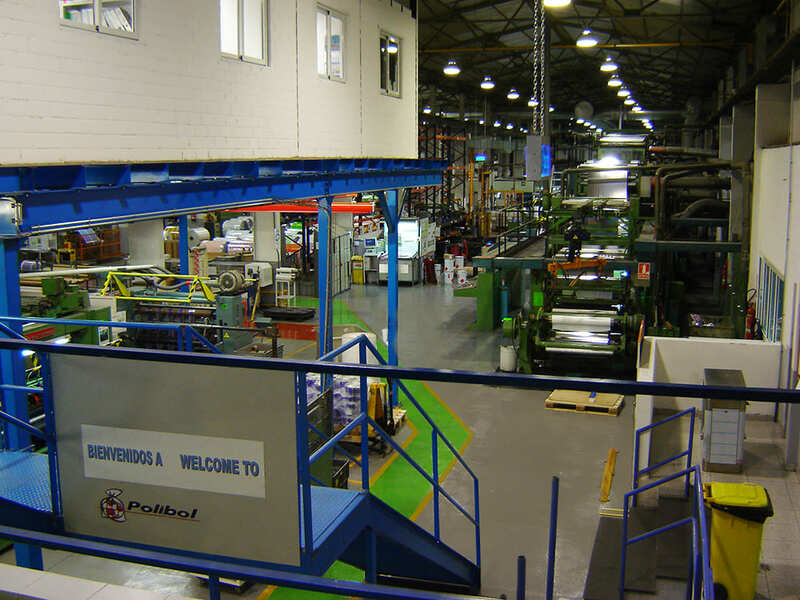 Polibol, as a manufacturing company, operates various production lines that incur a number of critical processes. 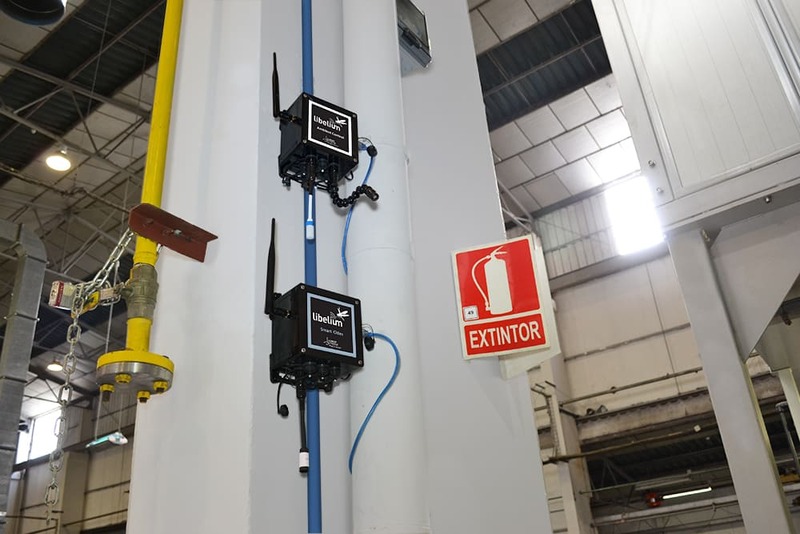 In some cases, controlling the air temperature near machinery on the factory floor is essential; in others, gas must be monitored to keep compliance within authorized levels of concentration. Packaging for the food industry is subject to demanding health legislation regarding food safety and hygiene, as well as compliance with international standards, such as ISO-22000, for which Polibol is certified. Compliance with FDA regulations means that it is crucial to maintain a high level of quality control throughout production. Another important consideration for Polibol is how best to optimize processes, to reduce costs while ensuring quality. 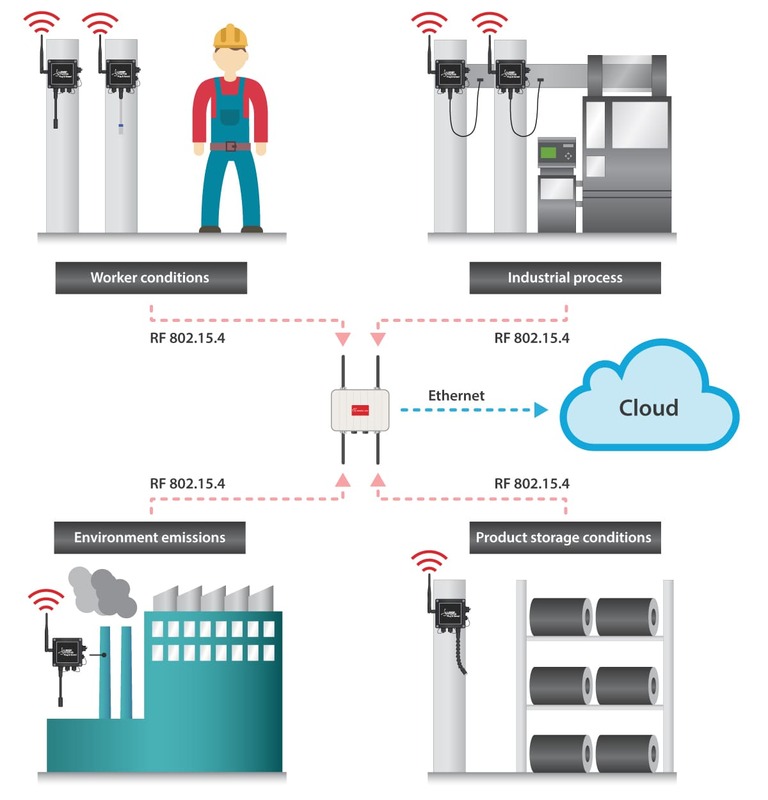 Manufacturing controls require continuous measurement of environmental variables, making this ideal terrain for wireless sensor technology (WSN). Libelium designed a specific application for Polibol using Waspmote Plug & Sense! 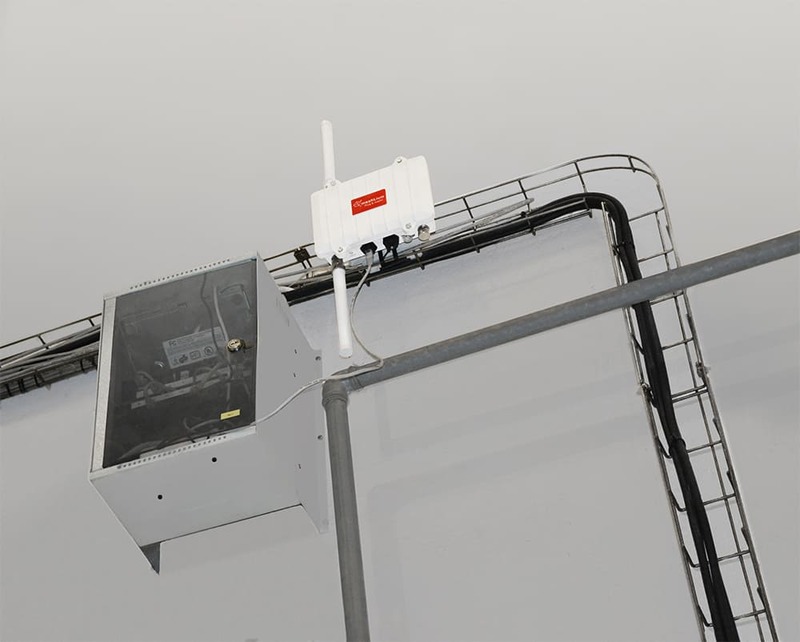 and the Meshlium gateway to monitor critical processes, environmental variables throughout the factory, parameters that affect product quality and working conditions. 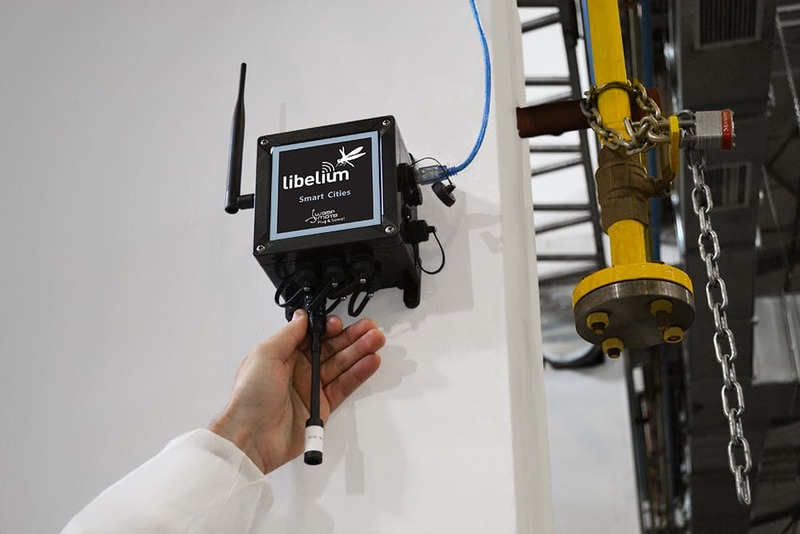 The integration of Libelium sensor technology with Microsoft Azure Cloud platform allows data from Libelium's sensor nodes to transmit directly to the Cloud, for analysis and use by Polibol in a number of applications. In the Polibol factory, the printing process is performed on printing machine units that print color on color to form the final image. In the body of each printing unit, a mixture of colored ink and solvents keep the ink liquid and the coil impregnated. The product then travels through a drying tunnel to remove the solvent, leaving the dry pigment. At this point in the process, it is crucial to control the drying temperature, because if the ink is not completely dry, the next printing unit will blur and smear the ink, ruining the impression and resulting in complete rejection of the production. Printing is high speed, more than 200 meters per minute. In addition, temperature also affects to the elasticity of the materials (polyethylene, polypropylene, polyester, polyamide, PVC and aluminum) during the manufacturing processes, which make cause ink is not properly applied. Monitoring temperature inside pipes with Waspmote Plug & Sense! Likewise, temperature influences the laminating process as well. Laminating consists of pressing together up to three layers of aluminum or plastic material to obtain a sum of properties essential to each final product component: strength, impermeability, visual impact, sealing, etc. Between each layer of material and each layer of adhesive, the drying temperature must be monitored to prevent delamination of the final product. Temperature control also requires a high sampling rate and high rate of accuracy in the readings. Because of all the above, costs of maintenance of these printing and laminating machines may be high. Ensuring a right temperature control not only reduces the rejection of products but lowers the maintenance costs. Temperature and Humidity monitoring using Waspmote Plug & Sense! 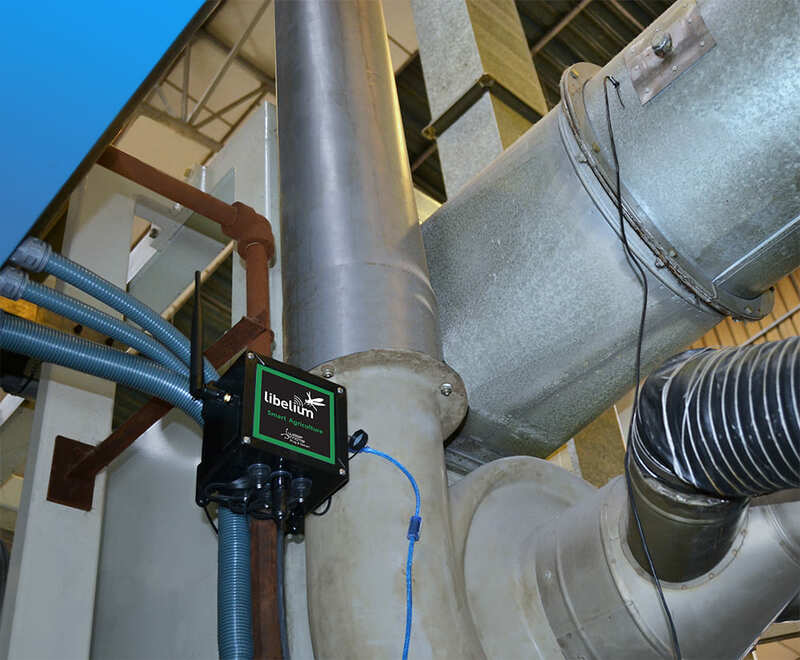 Sensors that can capture Volatile Organic Compound (VOC) readings are very important. In the process of printing and laminating, different types of solvents are used that volatilize during the drying process. Legislation has established regulations to ensure that any solvents that may be retained in the ink or adhesive that come in contact with food remain below minimum levels of tolerance. 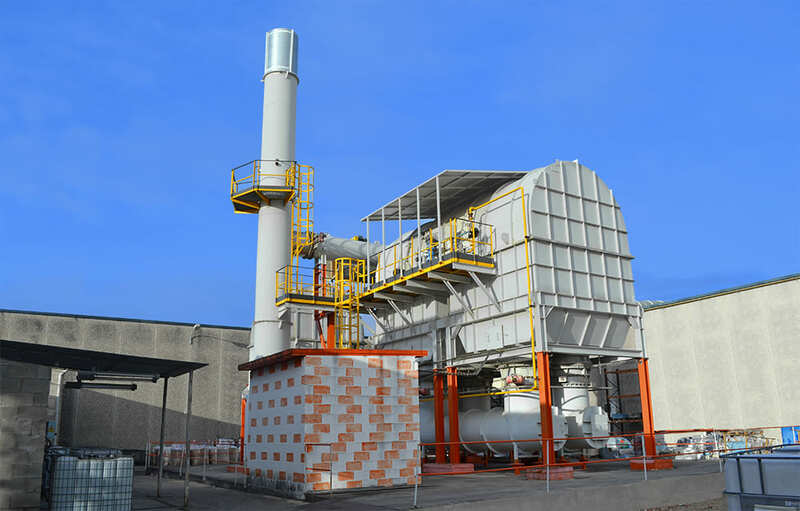 Environmental rules state that evaporated VOCs from the solvents must be captured, recycled or destroyed in a controlled manner, to keep them from polluting the atmosphere. Sensors measure VOCs and ensure compliance. Finally, Noise sensors monitor working conditions in the factory. The hardware configuration for Polibol consists of four types of Waspmote Plug & Sense! sensor devices and a Meshlium multiprotocol Internet gateway. The Waspmote Plug & Sense! nodes used in this project are modular and can monitor and measure a wide range of factors: up to seven initial parameters. Waspmote Plug & Sense! houses a battery in its enclosure to allow the system to measure and transmit data even without a connected power supply. The battery capacity is 6600mAh: this means that application autonomy can range from several days to several weeks without recharging the battery, depending on sampling frequency (time between measurements). The Waspmote Plug & Sense! nodes can operate under battery power or on the grid to continuously recharge the battery. Meshlium is a multiprotocol gateway and can be configured with different communication protocols such as Wi-Fi, Ethernet and 802.15.4, enabling the system to receive sensor data from the nodes, parse it and store it in a local database. The use of 802.15.4 communication technology allows sensor data to be stored or read as it is measured, so that users can visualize data “live,” in real time. By introducing an IP address in a browser all the Smart Factory information can be visualized on the Meshlium Web interface. Each Waspmote Plug & Sense! node is programmed and tested in Libelium laboratories so that, once in position, it can start monitoring when the “ON” switch is pushed. Waspmote Plug & Sense! monitors its corresponding parameters at different intervals because not all processes have the same priority or critical level. 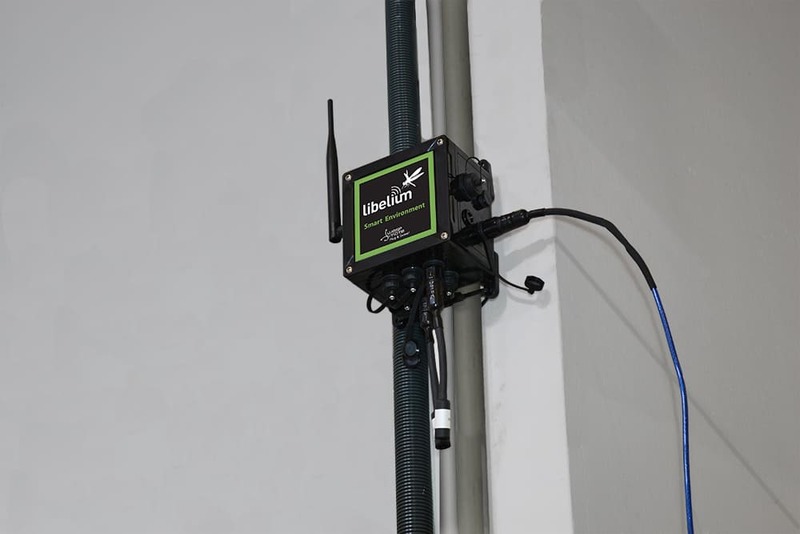 After each measurement, data is transmitted to Meshlium using 802.15.4; other info such as battery level is sent, to provide robustness to the solution. Using Microsoft Azure allows Polibol to start sending data immediately without the need to configure their own server system. From the outset, the sensor data is available for download and local analysis, or it can be transferred to another server. Once the data is synchronized with the Azure platform, it can be accessed from anywhere. Meshlium synchronizes with Microsoft Azure platform every 60 seconds thanks to a Meshlium plugin that allows transmission of a local database directly to Azure. Waspmote sensor nodes offer four power modes—on, sleep, deep sleep and hibernation. In the hibernate mode, it consumes 0.7µA resulting in outstanding battery performance. The device can keep running for up to three years without recharging the battery After each measurement, Waspmote sleeps. This sleep feature, together with the ultra low power sensors integrated within the Waspmote platform, extends the lifetime of the solution and makes it easy to install and maintain. Some Waspmote nodes can remain in place for months and years. “The autonomy of each Waspmote Plug & Sense! will vary depending on the sampling frequency. When the nodes are connected to the grid, the energy balance is positive. When there is no current, the nodes can continue working for hours and even for days,” said David Remón, a Libelium engineer. Whether producing modern machines, high performance products or their components, smart sensor and Cloud-based technology is available for industrial automation to help manufacturers achieve top line growth by increasing productivity and minimizing risk in manufacturing processes. 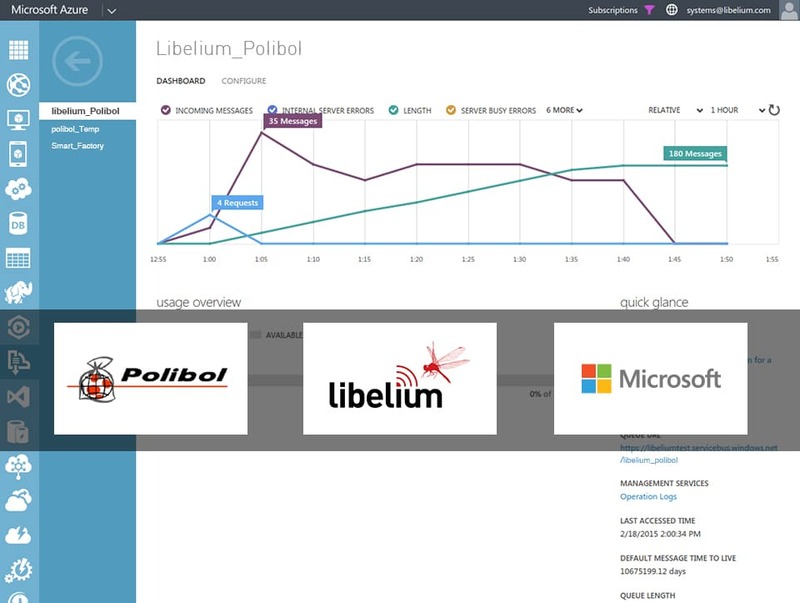 Libelium technology integrates easily with Cloud platforms such as Axeda, Esri, Sentilo, Telefónica, Thingworx, and the Microsoft Azure platform. Read more about our product lines in Waspmote and Plug & Sense! websites. Buy this IoT Kit at The IoT Marketplace!